i really do like this podcast, but i used to love it. i miss amina and ann just talking to each other and feeling like i was a part of a conversation between friends. their dynamic is so fun. now, there seems to be much more focus on interviews and promoting things rather than their own friendship. i get that things change as they get more popular, and i love that these two are monetizing their business, but maybe alternate episodes heavy on one host interviewing someone with episodes where the two of them just talk like how they did in the beginning. Thanks for creating this. I always learn and laugh listening to CYG. This is the most amazing podcast! I love everything about it. The speakers are intelligent, thought provoking and excellent interviewers. They are expanding my mind and also creating discussions I have been craving. Listening to them makes me feel like Iâve found my tribe! Recommending this to all my girlfriends. I love how they bring the relationships of girlfriends to the forefront to honor and celebrate them. Girl friendships are dear to my heart and I love how they are being honored here. Thank you so much Aminatou, Ann and Gina for your life changing work. I normally listen to podcasts while cleaning or exercising or fixing things around the house. I cant do that with Call Your Girlfriend because the episodes always pull my attention away from whatever Iâm doing. Theyâre honest, thoughtful and strangely comforting. Especially the episodes on heavier topics like illness, suffering, grief, etc. I didnât realize how much I needed to hear these things discussed so bluntly and matter-of-factly. Thanks for making this show for real. I love this podcast SO much. iTunes regularly unsubscribes me from this podcast and when I find myself wondering why itâs not in my podcast playlist, I feel a sense of rebellion/resistance by resubscribing. Like, take this iTunes! Iâll have my funny smart women and youâll give it to me!Also, I have all the merch and Iâm a huge fan girl. I don't remember how I found out about this podcast but in 2014 my life was forever changed for the better. "Listening" to them grow has been incredible - and I have grown because of them. Their perspectives, their choice of guests, thier ability to switch between pop culture and foreign policy - all of it is seemless and wonderful. I love this podcast! I listen every week because they bring a lot of joy to my life. Thanks for everything. I am a better person thanks to you. This podcast CRACKS ME UP! The Boss Ladies Episode is my favorite, but all episodes do not disappoint! Thank you for empowering women every day! Thanks for putting out CYG! Me and my long-distance friends listen to your show and I love how you always being up great points about thought-provoking topics. I like the honesty and humor you both share and learning about so many projects by creative women. Stumbled upon CYA not so long ago, and itâs quickly become my favorite podcast. Love the intelligent banter, incisive critiques, fab guests, and hostesses with the mostesses! (Can I say that, or is my language sexist?) Seriously, I appreciate this podcast so much, and look forward to every episode. Canât wait to see A&A live, and eagerly awaiting The Book!! I used to love this podcast and it definitely helped me get through the election. Initially it was refreshing to hear two women talking about politics, work, and deeply personal subjects but after a while there were some things that I just couldnât get past. It seems like every other episode they are in Palm Springs on vacation and itâs great that they have the means to do so, but it just isnât relatable to me or most working class Americans. I was also disappointed to learn that Aminatou thinks that GMOs and Monsanto are fine. For someone who claims to be so woke, she clearly doesnât know anything about food and seed sovereignty and all the farmer suicides in India and around the world. Also, why does she call herself a feminist but wonât tolerate a bad word spoken about the Kardashians? I just donât get it. But thatâs ok, I donât need to. Lots of other podcasts with female hosts to catch up on! I started to listen back in 2015 and I was instantly addicted. Itâs a lot of current events, celeb gossip, entertainment, politics, and SOOO much girl power. Literally- everything under the sun to keep you up to date on happenings in the world. Love these two women and what they are doing. Brilliant, salient, hilarious intersectional commentary on the moment. Do. Not. Miss. This. Podcast. I miss when feminism meant creating space for all womenâs experiences. I love love love this podcast. Smart, funny, wise, relevant. Always provides my feminist heart comfort AND makes me think. I do not know why, but lately I cannot seem to get past it. Sorry, I am out. Ann and Aminatou make me want to be a better woman, friend, creator, citizen, and more. Their discussions fill me up, inspire me, and challenge me. I love this podcast! Amina and Ann do a fantastic job of breaking down political news in a way that makes me want to cry less. Theyâve also had some all-star guests, and are great interviewers. Having a window into another best friendship is also really special and comforting in and of itself. Deeply in love with these women and this podcast!! Thank you thank you for everything you do and create I have learned so much and loved so much of the content youâve made. I used to really like this podcast. They talked about pop culture and women's issues and it was kind of funny sometimes. Since the election all they talk about is politics in this really "the world is a trash fire" way. I'm aware the world is a trash fire right now, but constantly hearing this from them is pretty depressing and redundant. They never really leave off on a positive note of any kind. It's just annoying. I think at this point they're taking themselves too seriously and have stopped having fun with the podcast. This is my favorite podcast! As a woman I always feel so inspired, empowered, and ready to take on the world after listening to an episode. I love the women interviewed and their range of expertise. Iâve read and watched so much because of this podcast, ugh love you ladies! I liked this show in the very beginning. But then it seemed to become all about the guests they had on and sort of âsold outâ. I realized the women saw everything only from their perspectives and were extreme about everything political. It made me uncomfortable and actually turned me off of the feminist movement I used to be interested in. There are plenty of smart and interesting podcasts out there, donât waste your time. I was on the fence with CYG for a while; though they have great guests, the hosts donât question their privilege as upper-class cis women, and I felt left out of their conversations. Their episode about feces got me to finally unsubscribe. Talking about womenâs health is one thing, but discussing the joy you get from eliminating your bowels is another. Hard pass. Oh, The Bounty of CYG ! Where do I begin ? A&A are my right and left hands. I start my days with them, I end my days with them, we walk to work, we work out. Oh the places we go ! The quintessential voices of thorough, thoughtful, authentic, honest reflection on what itâs like to be women, specifically woc today. As a white woman, I feel so grateful to witness honest exchanges about race w each other and their guests. I feel full of sunshine and rainbows even when the discussions are bleak. Hearing women support other women always uplifts my day. I spread the gospel of #shinetheory everywhere I go. Thank you ! Oh, I also jâadore all things Gina D. and Iâm obsessed w Carolyn Pennypacker Riggsâ interstitial music. Great content overall. Too bad about the vaccine propaganda. Great content overall. Too bad about the vaccine propaganda. Speaking of women deciding over their own bodies, itâs irksome to have the hosts views on what vaccine I should be taking shoved down my throat at the beginning of a podcast. I learn so much on this podcast. Iâve been listening for years, but the most recent episode with Alexis Coe was so so great. Can she come back more often?? Thank you for being a podcast that constantly highlights amazing, passionate women who are changing the world. I always look forward to CYG coming into my feed. Both Ann and Animatou have such insightful and funny perspepctives to offer. Cannot reccomend it enough! They are constantly teaching me new things, both supporting my rage and giving me new things to rage about. They also remind me of the importance of investing in adult female relationships and non-romantic relationships, generally. I feel so SEEN by them and am grateful for the high quality show they deliver FOR FREE. Thank you Amina, Ann and Gina for doing Goddessâ work. Canât wait to see you live in NYC! Thanks for giving us your best, truest, most honest bestie chats every week. Many of my best friends are really far away and itâs lovely to know Ann and Amena know what Iâm going through. They gave me the confidence to found my own podcast Achingly Polite. I love them. Smart, cutting, and entertaining. Force your male friends to listen. My favorite of all time!! My absolute favorite podcast! I love hearing these incredibly intelligent and funny women talk about a huge range of topics from pop culture, politics, and their own lives. Some of the best conversations Iâve ever heard in a podcast. They will definitely challenge you and sometimes you may not agree with them but they are smart, thoughtful, and supremely entertaining. I canât recommend enough! I wanted to listen longer but you two should playback your pod and count how many times each of you say âlikeâ. It made me crazy and I couldnât focus on the context with so many âlikeâs peppered in every sentence. Itâs distracting and diminishes your obvious intelligence. Amina and Ann always leave me stunned, informed, and like Iâve had a great convo with some old friends about the important stuff. I love their podcast and look forward to each new episode. The episode brought tears to my eyes. If she ever runs for president, I will quit my job and campaign for her. Tips for self care, call-ins and reminders that weâre not alone during this truly scary time. If you need to feel connected during this administration, this is your podcast. My gateway episode was when Ann shared her sandwich-making, IUD-dropping story. As a nurse-midwife who works with vulnerable communities Iâm always on the hunt for smart and sassy folks who are talking about bodies, sexism, politics, gender, and race. 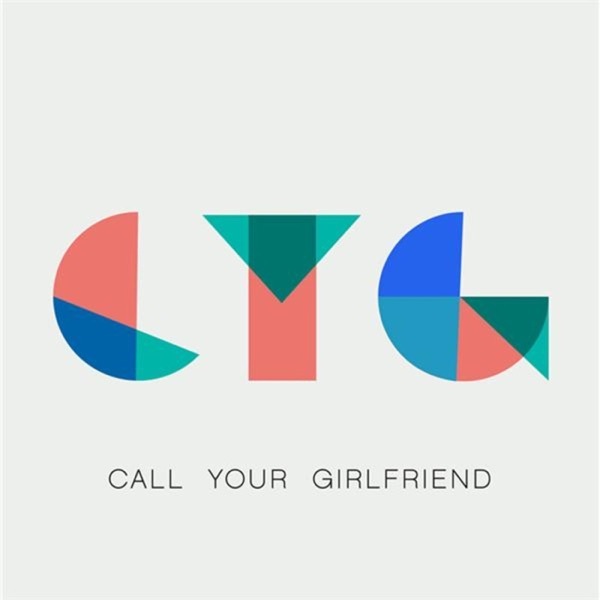 Now Iâm a committed member of the CYG fam and it is my #1 podcast recommendation for anyone who needs a new podcast! My Favorite Podcast for years! I've been listening to these smart, lovely ladies for years and always enjoy listening to their insights and news. They have really helped guide my thinking and I love their shine theory! This is my new favorite podcast! I look forward to Friday more than ever now to listen to Ann and Amina share their perspectives on whatâs happening around us. They feed my feminist soul on a weekly basis and have opened my eyes to many issues and ideas! Hi Folks,This is a fabulous podcast with content for the temporal lobes! Thanks for the wit and activation of what's up. Ann and Amina are the smart, engaged friends you need in your ears these days. Three years ago, one of my besties moved 900 miles away, and a few weeks ago, another of my besties moved 900 miles away. Call Your Girlfriend reminds me that long distance friendship is possible!